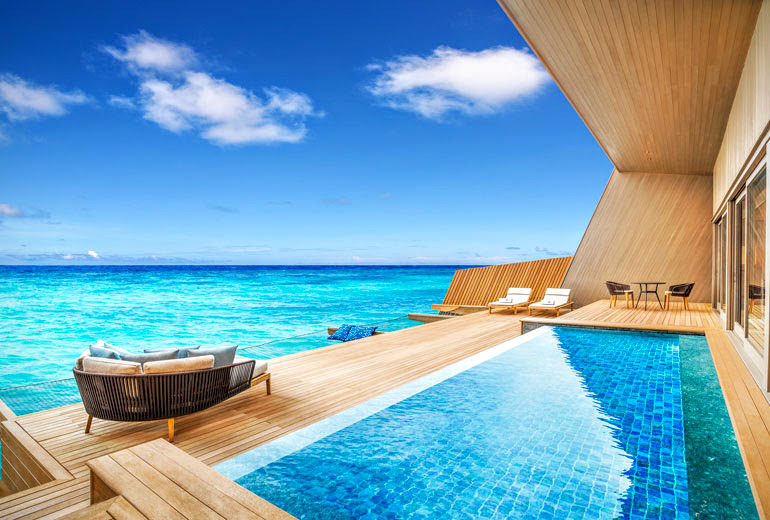 The St. Regis Maldives Vommuli Resort offers a rare encounter with the preciously guarded marine life and authentic nature. A setting designed to mimic and honor its surroundings, recycling and reusing materials wherever possible. Whether for a romantic tropical escape or a truly unforgettable family experience, discover a rarefied setting where lush jungle meets peaceful lagoon. Enjoy an elevated experience with signature personal St. Regis Butler service in one of 77 transcendent suites with private plunge pools and beach access.